Self help stuff that help you learn, or guides that help you build things. This is an example (with code) on how to cycle user messages on the Keyence KV-D20 display. The code is written as a sub-routine that is easily incorporated into a Keyence KV series PLC. The code is proven to work - I've used it many, many times. A brief rung-by-rung commentary explains the basic operation of the code. 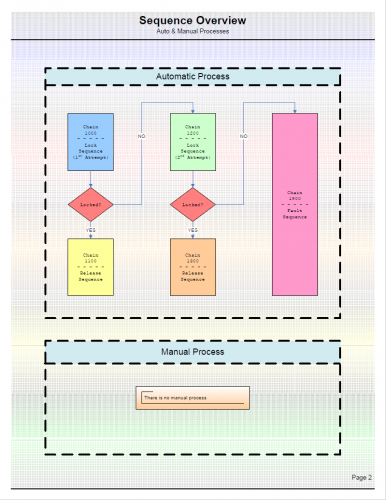 This file is an example showing how the sequence diagram template is used. 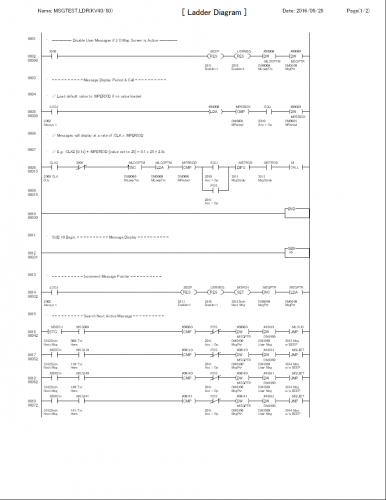 This file is in .pdf form but is available as a Visio file. Message me through this forum to request a copy. 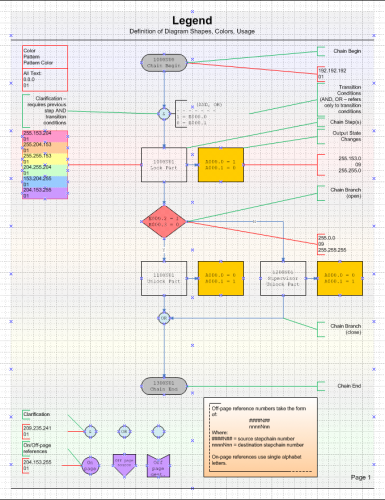 This is a simple sequence diagram format I have developed and used. You may or may not find it to be helpful. This file is in .pdf format but if you message me through this forum I can send you the Visio file. I am offering the Visio file without charge, and without copyright restriction. Manuals and documentation for the Keyence Visual KV series of PLCs. This is a Chinese CNC lathe controller. The 10 Year Anniversary Edition of a community guide on what to do and what not to do in the world of Automation. Thanks to the members of MRPLC for submitting such humorous anecdotes. 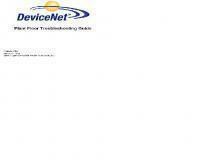 Telesis Document No. 33484, Rev. G.
A funny but serious compilation of the Laws of working with PLCs. Small demo how to write program that uses another application (any). In this demo (VB.NET source included) remote application is Windows Calculator. - read and write text from/to remote app (also works if user cannot see remote app like when minimized etc.). - it can focus on and control specific instance of the application (try to run several Calculators) etc. Its founding principle is that a communication network should allow a user to focus on the data he or she needs rather than having to reference a specific physical location where that data is to be retrieved from. This stems from the fact that the vast majority of current Internet usage (about 90% ) consists of data being disseminated from a source to a number of users. The current architecture of the Internet revolves around a conversation model created in the 1970s to allow geographically distributed users to use a few big immobile computers. The content-centric approach seeks to make the basic architecture of the network to current usage patterns. The new approach comes with a wide range of benefits one of which being building security (both authentication and ciphering) into the network and at the data level. Despite all its advantages this idea doesn't seem to map very well to some of the current uses of the Web (like web applications where data is generated on the fly according to user actions) or real-time applications like VoIP and instant messenging. But one can envision an Internet where content-centric protocols take care of the diffusion-based uses of the network creating an overlay network while genuine conversation-centric protocols stay on the current infrastructure. This is a Power Point Show on Electrical Safety. It has a little vendor advertising up front but not much. As the topic originator called PLC Law I compiled the following PLC Laws from those posted. Get the first 25 all in one document. I use a lot of protocol analyzers but most of them lack good event triggers other than time or buffer size. If I'm looking for an event (or non-event) on my automation network that my PLC can detect I want the PLC to stand by all night waiting to push the "pause" button so I don't have to wade through megabytes of buffer data to find the problems. This example uses a Windows Accessibility function called "SerialKeys" to allow a PLC to "push the button" on your PC running an analysis tool. For the past four years I have setup a Halloween display at my house for my neighborhood children to enjoy. Each year my total TOTs (tricker-or-treaters) have double to the point last year I had 1500 kids come through my garage for a fully automated Halloween show complete with animatronics air props etc.. Also each year I submit a DVD video in a contest to the Halloween-L people in hopes to win the contest for the USA. I never have won anything but this year I decided to contribute to the technical part of the contest so I video taped myself going over the basics of a MicroLogix 1000 PLC and how I apply my PLC at home for use during my Halloween displays. Last year is the last time I will be setting up my display however my legacy lives. I put up a website with videos and pictures of my props from the past three years. You can view or see more information at: http://www.plchalloween.com. Since I won't be returning to the Halloween scene in 2006 I've decided to share my videos I created. I will upload a series of videos to MrPLC.com as I see they can help those that are beginners much like they have helped Halloween-L fans. Very soon check in the online store I will release a DVD version of all my How-To-PLC w/Halloween for sale. The DVD will contain hi-quality videos however the low quality videos will remain free for download here at MrPLC.com. I hope you enjoy as I upload videos in the next coming weeks. This video contains the technical walk through from a TOT's perspective. This video contains some backstage stuff.